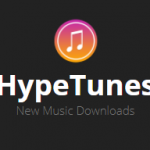 HypeTunes | Has it leaked? I’ve been listening to your Soundcloud, nice work! 2015 was a great year for music, 2016 has been a little disappointing so far but I think it will get better.